The cat is out of the bag! 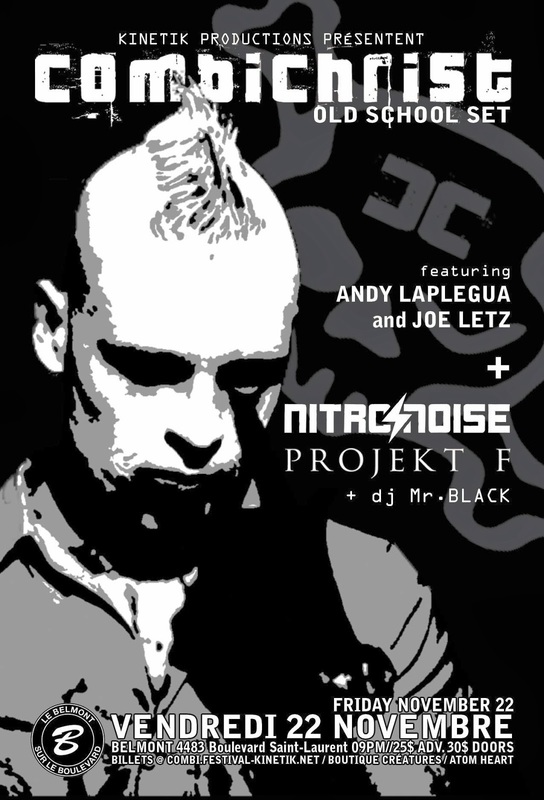 Projekt F will be opening for Combichrist on November 22nd at Le Belmont in Montreal! They will be performing a special Old School set for this event! Tickets will be available this week-end! Don’t miss this show! Previous Article ROOM 13 MUSIC VIDEO OUT NOW!